Sharing some lovely pictures from her recent trip to Taj Mahal, Sushmita Sen wrote on Instagram that romance has returned in her life and looked happy with the love of her life Rohman Shawl. 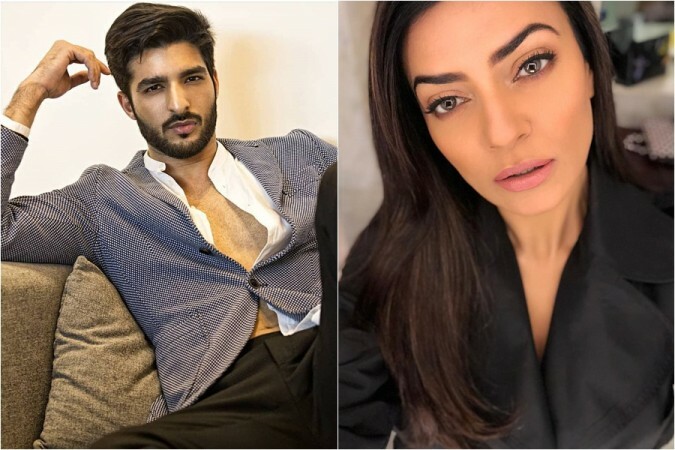 After breaking up with her 10th boyfriend Ritik Bhasin, a restaurateur in Mumbai, Sushmita Sen has found love again and has made it official in her recent Instagram post. Her 11th boyfriend is a model named Rohman Shawl. Sharing some lovely pictures from her recent trip to Taj Mahal, Sushmita Sen wrote on Instagram that romance has returned in her life and looked happy with the love of her life. The couple was accompanied by their friends during the trip. In one of the picture, Rohman can be seen sitting next to Sushmita and smiling as he looked at her while the Miss Universe 1994 was all smiles to the camera. According to reports, the two crossed paths with each other at a fashion show two months ago and hit it off instantly. The couple has been spotted together several times during their romantic outings. They were also spotted during Neeta Lulla's fashion show in Mumbai last week and Rohman was seen cheering for her. Reports further state that Rohman gets along with Sushmita's daughters Renee and Alisah quite well as he often visits her home. He is a well-known model who has walked for some of the popular fashion designers like Manish Malhotra, Sabyasachi Mukherjee, Shantanu and Nikhil. The handsome hunk is 27-year-old and has a lean and muscular physique. He is 6 feet and 1 inch (186 centimetres) tall and weighs around 79 kgs (174 pounds). He was born on January 4, 1991, in New Delhi. He moved to Mumbai in 2014 to pursue his career in modelling. He follows Islam religion and belongs to Sunni caste. He is a fitness-freak like Sushmita Sen and loves to spend most of his time working out in the gym. He likes listening to music and travelling and loves Italian food. His body measurements are 39-31-37 (chest-waist-hips) and his biceps size is 14.5 inches.